Note: Unless noted otherwise, stats cited in this piece are from the American Hospital Association’s report, “Sharing Data, Saving Lives: The Hospital Agenda for Interoperability” that can be accessed here. Interoperability is an issue that has plagued healthcare for years. There is so much patient data collected and stored in disparate systems, making it extremely difficult to aggregate all of it into one central location that different medical professionals can access. And now with the rapid shift to value-based care, the need for interoperability has never been more pressing. With this massive investment thus far, we wanted to take a look at where we’re at now and how far we have to go to achieve full interoperability. In this piece, we’ll explore what benefits full interoperability holds, the current challenges of achieving it, and some key areas the industry needs to focus on. There are innumerable benefits that come with full interoperability. Below are just a few of the major advantages. Fully informed care decisions — The amount of current data that will be available to patients, caregivers, and providers alike will lead to collaboration and much more informed decisions, ultimately leading to higher quality of care. Rather than having to piece together information, a central source of truth is available to base decisions off of. Higher quality and safer care — With the wealth of shared data, patients are much more likely to receive the appropriate medications and tests, avoiding repetitive or contrasting ones. The patient gets a much better and more efficient care experience while also reducing the amount of time and resources used to achieve the same outcome. Confident patients — Patients feel empowered by the transparency that interoperability offers them. With all of their medical records and options for care clearly laid out in front of them, patients will feel more invested in their care, also leading them to potentially make better decisions in the future and stay out of the hospital, lowering admission rates. Cost-effective and efficient outcomes — The sharing of information allows all parties involved in patient care to cut both time and costs. No more duplicate services or searching for patient records in another system. Improved population health — Aggregated patient data will allow providers to get a full view of the patient population and the prevailing trends in health. From here, they can tackle the many challenges associated with chronic care management and work towards improved population health. The American Hospital Association conducted a survey in 2017 to uncover the challenges to achieving interoperability — the results can be seen below. The two major challenges that the survey uncovered were that the provider receiving the patient data either did not have an EHR in place or the ability to collect the information, and the different vendor platforms presented problems when transferring the data. Obviously, interoperability will be much easier to achieve when all providers have EHR in place and the capabilities to receive the data. However, for those that do have the platforms in place, vendors should work together to ease the transfer of data between the two. Vendors may also charge an additional cost for this data transfer. Other challenges that surfaced were that some health plans don’t allow the sharing of claims data, patient privacy standards differ across states, and regulatory requirements are continually shifting. While a definitive list to achieve interoperability can’t be put together, industry experts agree that the following areas should be prioritized and focused on in order to expedite the implementation. Security — With so much health data centralized, concerns arise when it comes to privacy and the potential for data breaches. In order to combat these threats, the infrastructure must be built out in a way that security measures are present at all points and all parties involved can feel confident the data won’t be compromised. National patient identifier system — Without a national patient identifier system, it is extremely difficult to match patients to their records when sharing data. Implementing this system is a key step towards interoperability, but it won’t be an easy task. Simple transfer of data — Clinicians and providers must be able to transfer patient data easily to one another with a system that isn’t overly complex. The patient record must be complete and matched to the correct patient, relying on the patient identifier system touched on above. Consistent vocabulary is also crucial so that there is no confusion after the data has been transferred between multiple providers. Unified front — Everyone within the healthcare industry must work together to achieve this lofty goal. Different systems must work together and share information and best practices to build the infrastructure necessary. Achieving fully interoperability is going to be extremely difficult, but once achieved, the positive impact it will have on health will be incredible. There’s a long way to go still, but we’re confident that it will be achieved in the near future. 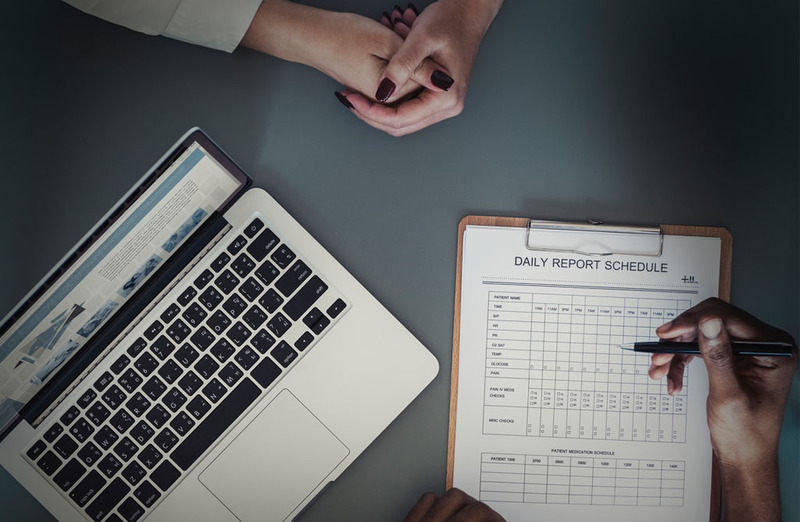 With the Privis Health Platform, your healthcare organization can exchange critical data with providers’ health information systems, analyze the patient population, and report on everything from costs to behavioral health. Find out more by contacting us!